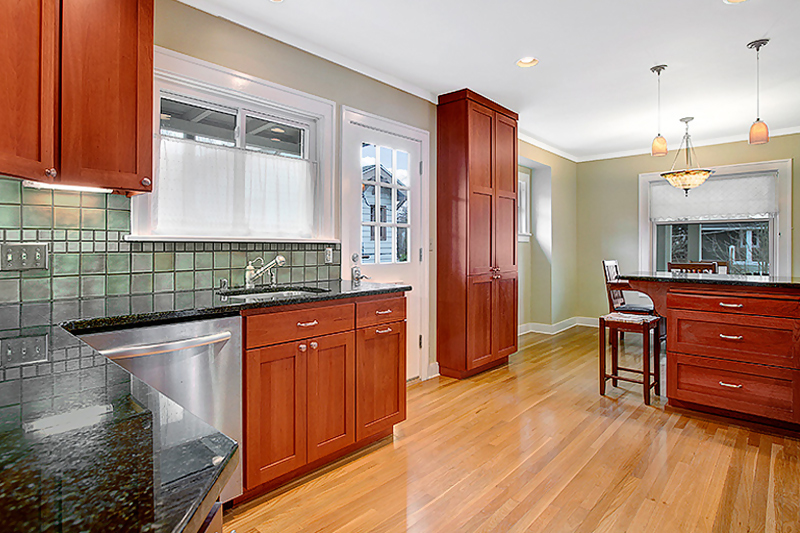 This Green Lake bungalow has beautiful finishes throughout the remodeled kitchen and dining room. 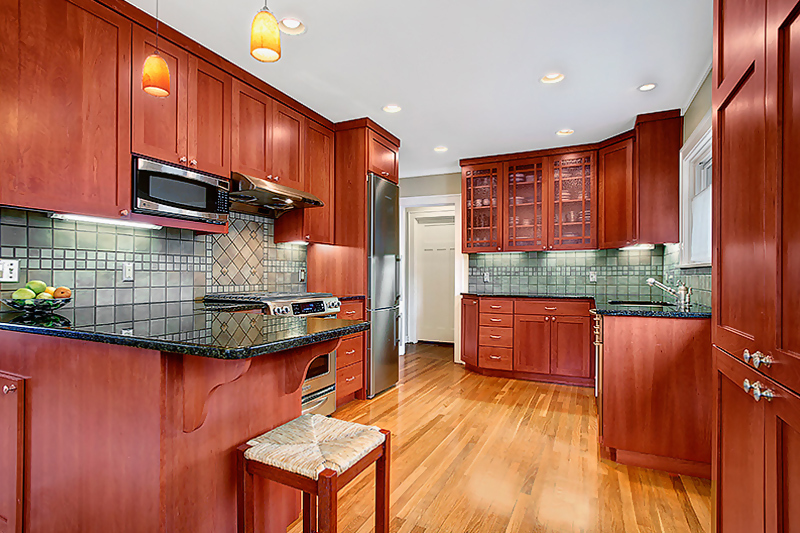 The space was made open and airy by removing the wall that formerly separated the spaces. 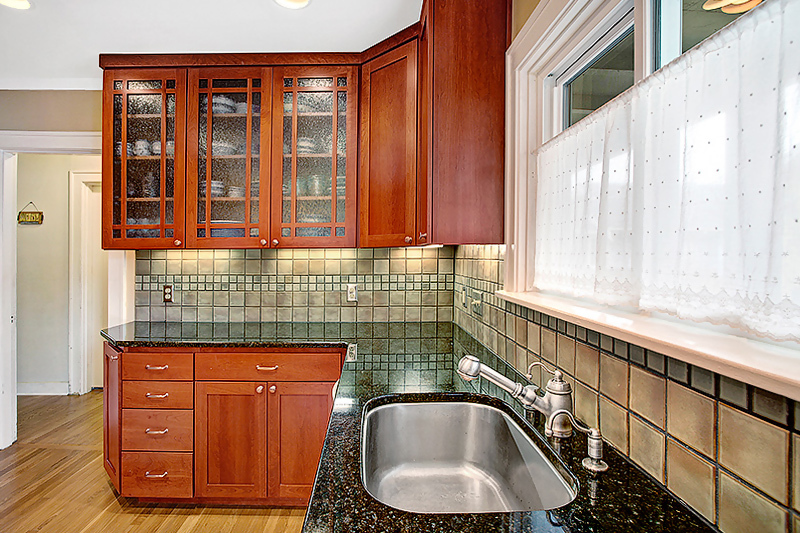 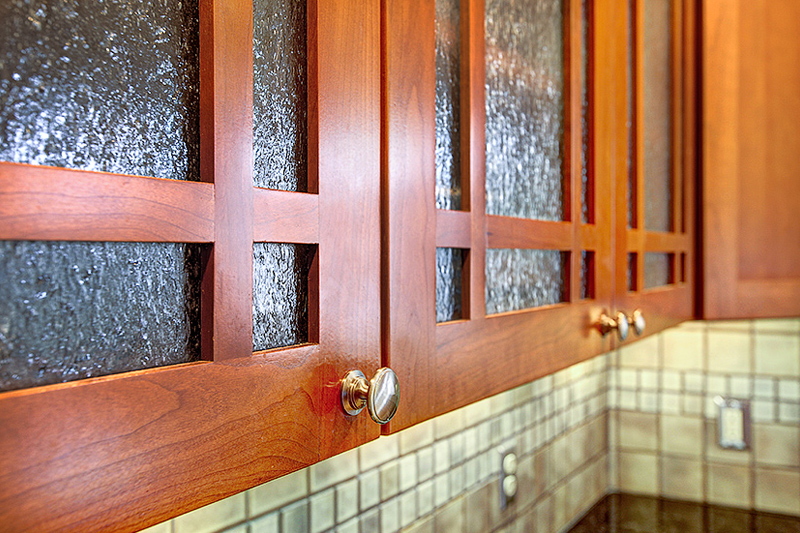 Custom cabinetry, hand crafted tile and specialty glass are highlights in the kitchen. 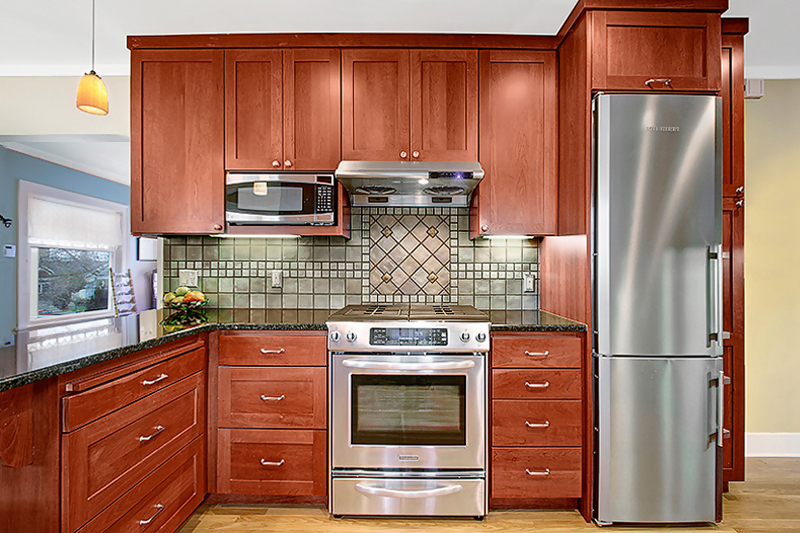 We worked with our customer to maximize the use and design of the kitchen so that the remodel fulfilled all of their needs and desires.